WWW- What is the Kids First service? Children are important members of our church community in their own right. And we always strive to listen and learn what our members need in order to nurture their faith and grow into closer relationship with God. Our Kids First service is specifically geared towards families with young children. Kid-friendly props and prayers help kids stay engaged while worshipping. They also learn age appropriate hymns, as well as sign language to go along with the words. This shorter service helps children to learn more about church and about God while having opportunities to help play an active part in worship. The Kids First service is held the first Sunday of every month at 9:30am. Our next Kids First service is this Sunday, October 7. If you’d be interested in helping out with the service in the future, or if your child would like to be trained as an acolyte, please let me know! 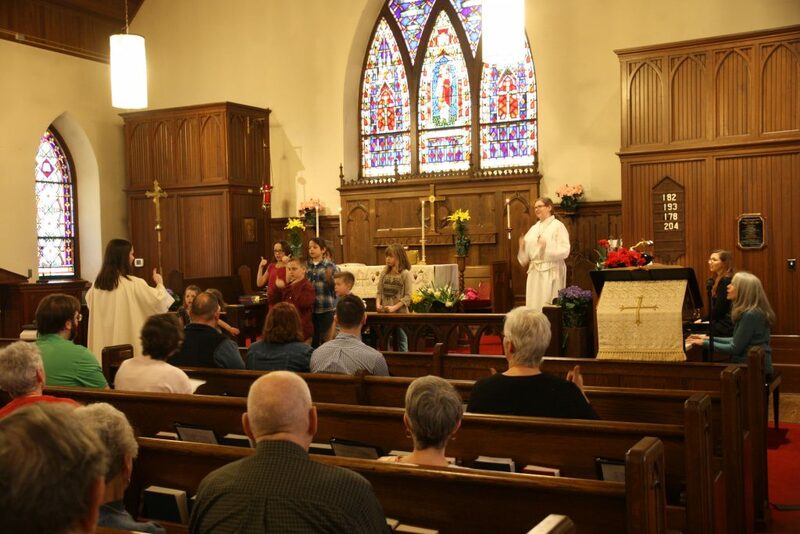 Do you have any other questions about the Kids First Service or anything Episcopal-related? Click the button below to suggest a topic for another What Why Wednesday!